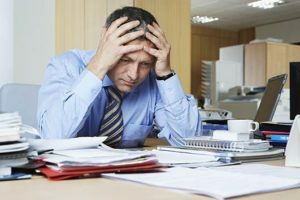 When working in a firm that is fond of paying less than what you are due for your overtime services, one mistake some persons make is to keep mum about it or try to take justice into their own hands. Did you know that the FLSA (Fair Labour Standards Act) entirely frown at the idea of denied overtime pay? There are several codes documented that could give you a boost in your bid to get justice served. You would however need an attorney who is familiar with the uneven terrain of claims of unpaid overtime to help win your case in court. Your attorney of choice will help you evaluate your case and establish its potency. You will also receive practical guidance on how to go about the events at your place of employment to ensure you’re never found wanting.At Rawa Law Group, we host an impressive number of great attorneys, with a stellar track record to show. Our Unpaid Overtime attorneys in Downey are the finest available; we have led a two decade campaign of incontrovertibly rewarding legal practice that has left many grateful claimants in joy, better off than they came. We can help you get the settlement and outcome that is due you by law, and we will do so without requesting for an upfront remuneration before taking up your case. Allow us be your voice and your victor. Reach us now via the address below.